"Why Jack Bogle Doesn't Own Non-U.S. Stocks"
"The fact that they're (international stocks) undervalued may mean that they're undervalued because they're riskier." "I'm just a great believer in a U.S. portfolio because we're the most entrepreneurial nation, we've got the soundest institutions, financial and otherwise, or have had in the past, governance is pretty solid, in the past at least, and a well-diversified economy." "I think the argument favors the domestic U.S. portfolio, and they have to worry about whether the dollar is strong or weak. One more risk." "I do tell people, feel free to disagree with me because I'm not always right, but I have 0% in non-U.S. I say you don't need to have non-U.S., but if you do, limit it to 20%." Re: "Why Jack Bogle Doesn't Own Non-U.S. Stocks"
Thanks for posting Taylor. Jack appears to be US-centric in his investment portfolio advice, but I think it stems from the belief that most large US companies have plenty of international exposure. The stability of the US seems to tip the balance for him. This topic seems to re-emerge frequently. 5) Currency risk can also be reframed as currency diversification. If the Dollar can rise against the other currencies, it can also fall. 6) If higher risk has been priced into International stocks you aren't really getting a bad deal. 7) While we are restricting ourselves geographically and politically based on past performance... why not replace 100% US, with say 100% West coast (FANGTA)? Or say companies only from the top 5 or 10 most innovative states historically? Let's go back to active management while we are at it. Listen, I am no one to disagree with people of Taylor or Jack's stature. But before you go 100% stock make sure you have a good reason to strike out all of the above reasons. Remember those of us who invest internationally usually never say you should "underweight" the US. We are either overweighting the US or holding it at market weight. Being 100% US isn't bad but it isn't better. Last edited by bligh on Tue Oct 16, 2018 2:33 pm, edited 1 time in total. Last edited by goodenyou on Tue Oct 16, 2018 2:10 pm, edited 1 time in total. 8) While we are restricting ourselves geographically and politically based on past performance... why not replace 100% US, with say 100% West coast (FANGTA)? Or say companies only from the top 5 or 10 most innovative states historically? Let's go back to active management while we are at it. 9) "I'm 89. Of course I don't buy international stocks." I'm partially joking (and completely joking about the quote), but also partially being a realist. He was probably about my age (i'm 47), or thereabouts, before international investing was even viable or cost effective. My dad's (just) 72, and he's at least still uneasy with the idea of buying foreign stocks. He's doing it now with a bit of prodding from me, but it wasn't easy to convince him. Now an X-gen or younger? Yeah, no big deal. As a non-US domicile I DISAGREE with Jack. For us, USA domicled stocks are more expensive in two ways. Higher dividend taxes. 15% for USA domiciled. 7.5% for non-USA developed. 10.6% for EM. Higher valuations as per prospective P/E ratios. 17.9 for USA domiciled. 13.5 for non-USA developed. 12.1 for EM. Thanks for pointing out the typo! Just fixed it! Also, Thanks for listing out all the counter arguments. Last edited by bligh on Tue Oct 16, 2018 2:35 pm, edited 1 time in total. 3) Plenty of good companies outside the US too. Response: yes, companies which are not subject to U.S. laws nor regulations. All U.S. publicly traded companies are at the mercy of the SEC. Response: if currency hedging is what you’re talking about than one can simply do U.S. commodities since they’re invariably tied to the U.S. dollar. When the dollar goes north commodities go south and vice versa. You also get additional benefit of inflation hedging with commodities. In conclusion, if you folks are content with following the herd about international investing without doing any investigation, then by all mean. Better you than me. I’ll stick with the Vanguard Balanced Index fund. The "they're riskier" argument works for Russian stock valuations and other emerging markets. I don't see that argument working for the UK, France, Germany or any other developed nation. Bogle always talks about how US multinationals already give you US exposure. Well, don't you get US exposure from foreign multinationals that sell to the US as well? Buying only US stocks is a bet. It's a bet that US stocks will be the best market, something which nobody can possibly know. Isn't it prudent not to put all your eggs in one US basket? Don't forget #8: Jack Bogle is wrong on this topic, and not wise investor should pay attention to what he says about it. One more point: I think I read Bogle has a net worth of $80M. Then consider that he's age 89. It really doesn't matter what Bogle invests in as that ton of money will surely last his lifetime no matter how the US performs. Those of us who are "poor" with only $2M (for example) and who are going to be around for decades may have to worry about the future performance of our portfolio. My father, if alive today, would be 104. HIS stock portfolio consisted of 10 dividend yielding USA domiciled blue chip stocks. There really was nothing else that was reasonable or accessible in "the old days". Heck. We didn't get access to cheaper Ireland domiciled ETFs on the LSE until 4 years ago. Before then we paid 30% USA-NRA dividend taxes on USA domicled stocks. 35.3% for non-USA domiciled. 37.4% for EM. I'm with Jack on this one all the way. For a lot of older people (WW2 generation) the USA is the world. My father (non-USA) believed the same. For us it's 20-25% of the world in terms of GDP and 50-60% of the world in terms of market cap. Again .. The future may not look like the past. It wouldn't have been obvious how Britain could have fallen when it was at the height of its empire. You can only connect the dots looking back. Page 10. Also South Africa has done well for itself too. You make it sound like it is the wild west outside the US. International financial centers such as London have plenty of respected regulation in place too. However, even if I grant you that.. as per (6) this additional risk is priced in. My response to this is in paragraph 8 also. That would be true if currency hedging was the *only* benefit to investing in international stocks.... But they are apples and oranges.. Commodities do not provide earnings growth and revenue and innovation. The currency hedging that International stocks provide is a side benefit. Is the additional returns of holding the stocks of a single country work the reward? You're taking enough risks holding global stocks by market weight. I agree with this. But you do not address my argument. Mine is based on drawing an arbitrary geographical and political boundary on what is worth investing in. Is the West coast less resilient than the rest of the US as a whole? Are the top 5 or 10 most innovative states less resilient than the rest of the US as a whole? Why is the US more resilient than the rest of humanity as a whole? Good luck! You know I am sincere in saying I hope the US stocks do well, because I hold them as well... in market weight. We are not as rich as Jack. Please correct me if I am wrong. Didn't I read somewhere that Jack invests in the Wellington Fund? If that is true, then, Jack has at least some money in the non-US stock since Wellington fund is 10% international stock. As a US citizen, I see no point in giving my investment money to foreign companies, located in countries whose political structure/belief systems I don’t agree with or whose regulatory structures may not be robust. This is not to say that we’re perfect, but so far we’re better than anything else I’ve seen. Investing in international funds just seems to be another version of foreign aid, and as a US taxpayer, I feel I already do that enough. This is not to say that I don’t buy foreign-made goods. I have two Volvos sitting in the garage. That said, institutional corruption or political issues in Sweden or China more than likely have zero to hardly any effect on my cars and my ability to service them. Would I buy Geely Automobile Holdings Ltd (the Chinese-based owner of Volvo now) if I could? Nope. Not even through an American-based index. If they were based here? Probably. In other posts on other stuff, I have defined that as a "prehistoric Boglehead". I agree...a diversified portfolio of blue chip stocks, perhaps mixed with coupon-clippable municipal bonds or bank CDs, was about as Bogleheaded as it got before index funds and cheap brokerage trading. Careful, cause this is a slippery-slope kind of thinking that will have you going to the next level eventually. I'm specifically thinking of those socially-responsible mutual funds that are usually stinkers! Doing the right thing can be really expensive. Here it is plain and simple. These might as well be a bunch of different stocks. Has US peaked? No one knows. Would you pick the most overvalued/undervalued or would stick to the market cap. With all the mantra about sticking to market cap indexes and staying diversified and not picking winners/losers as a boglehead. But somehow when it comes to country bias, it's perfectly acceptable? I sense some hypocrisy when it comes to this. 0% international works for me! Even Vanguard disagrees with Bogle, putting 40% of their stock allocation in Total International for all Target Retirement Funds. As for what you want to own, what is so horrid about Toyota, a company that does business around the globe? In fact, I'm pretty sure plenty of people reading this drive a Toyota (which may well have been built in the US). Yet Bogle tells us this is a company not to own because it happens to be Japanese. Total International contains Toyota plus 6,000+ other stocks that John Bogle would advise not investing in. John Bogle: "don't invest in most of the companies on Earth, but you should own TSM because owning everything is a great idea." Anybody see a contradiction there? Ironically, International Growth & International Value were created while Bogle was in charge as CEO. He was CEO when Pacific Index, European Index, and Emerging Markets Index were all created. I wonder if he considers all these funds a mistake that he now regrets making? I'm onboard with Vanguards argument/research on why to hold 40% International (IIRC the primary point is decreasing volatility in your portfolio). Of course looking at my portfolio from the past few days, International sure does feel like the opposite of decreased volatility. "We have a lot to do, and very little time, so we must work slowly." Liviu Ciulei | | Thanks vineviz (https://www.bogleheads.org/forum/memberlist.php?mode=viewprofile&u=134698) for the quote. All I can say about this argument is the majority of folks who support U.S. centric only investments are: 1. U.S. raised and 2. Old (80+). Sorry but this thought process is nearly (if ever) recommended by anyone outside of those 2 characteristics. It just proves that no matter how intelligent and innovative bias don't disappear over time. I don't really care how anyone else invests as it is their money, but just object to selective biased beliefs. Many who are vocal market capers somehow justify cutting out 50% of the world markets (about 20-25% equity and bonds). If one is U.S. only and don't truly market cap then those folks should have no problem with another investor who chooses to overweight US SCV or any other sector as they are doing the same thing. The parochialism on display in this thread is amazing. Is this an age thing? I'd be interested in the average age of the anti-international investors posting here. correlations, investor preferences, and costs. The following 2 articles are great examples of why I don't invest directly in int'l (and frankly a stark reminder of how little I understand int'l financial markets) when that money can be directed into US companies. This is obviously personal preference and a tilt within my portfolio. Satisfied with a primarily domestic portfolio over the last 10 years vs. what would have been outcome with more EM or INTL exposure. Don't believe there's a perfect answer here....still highly diversified across low-cost mutual funds. I'm GenX for what that's worth. Being born and raised in the USA is not as strong an issue of US-centrism vs AGE. And WW2. My father and uncles were born and raised in Costa Rica. All of them (that were not communists) considered the USA as THE WORLD and everything made in or done by the USA as THE BEST. Relatives that were communists, of course, sided strongly with the USSR and Cuba. Early 40s for me. Three college degrees including a doctorate, and a professional license (just in case the next thing you wonder about is intelligence). Parochialism is the state of mind, whereby one focuses on small sections of an issue rather than considering its wider context. More generally, it consists of being narrow in scope. In that respect, it is a synonym of "provincialism". 1. The way of life characteristic of the regions outside the capital city of a country, especially when regarded as unsophisticated or narrow-minded. 1.1 Narrow-mindedness, insularity, or lack of sophistication. 2. Concern for one's own area or region at the expense of national or supranational unity. I’ve lived in Europe for 4 1/2 years; Asia for about 3 (just in case you think a lack of any worldliness might be the problem). I wouldn’t bat a eye if the German investor didn’t invest in the US. Or the Japanese. I think keeping one’s money locally is a smart move at every level. Any argument I’ve seen for international investing has usually been quickly followed by another equally coherent argument with evidence to the contrary. Now, if you’ll excuse me, I have to go check the mail for that package I’m expecting from China—1980s military-grade 6n11 vacuum tubes from the Shuguang factory! They sound incredible in my American-made amplifier paired with Xpo-pul factory (former Reflektor plant) EL34 Svetlanas from Saratov, Russia! What does the herd do? My impression is that U.S. investors overall are heavily tilted toward the U.S. in their equity investing, but I take your message to imply that the herd is big on ex-U.S. investing. Is that what you mean? I agree with everything you've you said except last sentence. Being 100% US isn't prudent - IMHO. 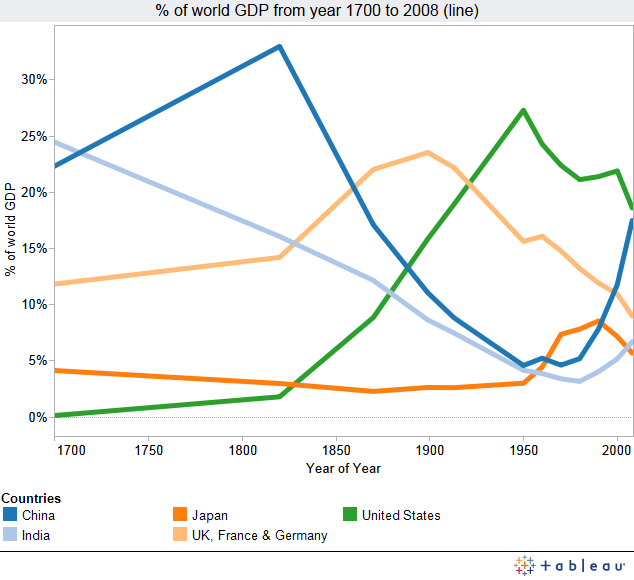 The US historically hasn't always been the same as now. Many decades ago it was probably similar in characteristics to some emerging markets now. Basically Bogle is saying the markets are incapable of properly valuing the additional risks of international investing. Isn't index investing by definition always being right smack in the middle of the herd? From the perspective of a US investor, what’s the allure of owning the global cap weight of Europe and Japan? I see a series of demographic issues, which seem unlikely to improve. Seriously? You don't give money to Samsung, Nestle, or Royal Dutch Shell when you buy VXUS. You give money to the person who owned the shares and sold them to you. It makes zero difference to a corporation where it's shareholders live (except maybe for shareholder voting purposes). Last edited by TropikThunder on Tue Oct 16, 2018 7:36 pm, edited 1 time in total. Seriously? You don't give money to Samsung, Nestle, or Royal Dutch Shell when you buy VXUS. You give money to the person who owned the shares and sold them to you. And if no one bought the shares? I wonder how many have changed their position as a direct result of this endless U.S./international equities issue. I suspect that I know the answer. America's success, which translates to investor success, owes in large measure to the way we treat failure (if you get up and try again all is good) and risk (nothing ventured, nothing gained). It's hard to beat the attitude. Empires and currencies don't last forever. Both fall, every. single. time. Don't be naive. It's literally impossible to live in the U.S. without directly giving money to foreign companies. We don't make that much here. Samsung builds a better smartphone and Japan builds better, more reliable cars. You can pay less and get a better product. There is a reason Walmart does so well. It isn't U.S. manufacturing. It might fall but you as an individual most likely won’t outlive the lifespan of the current dominate nation so if I were you I wouldn’t worry about this lol. FWIW, US has really just dominated over the last 100 years or so economically and has frankly been a successful social experiment given being American represents neither race or ethnicity but rather a belief in private properties, rule of laws, freedom of speech and individual liberty. "Nobody knows nothin'. Except when it comes to whether or not you should own international stocks." I agree it could be the older bogleheads condoning the U.S. only view. Me being a genXer I have no problem holding world market cap. Even worse there could be a few that flip back and forth everytime a new thread like this appears. U.S. only investing is not rational at all. Outdated. Jack Bogle consistently makes compelling arguments for NOT investing in ex-US, as a US investor!